Henderson Ave is one of our favorite streets in Dallas with so many great restaurants and shops! And while right now, it’s undergoing a lot of change with a redo of the streets and closures of some favorites like La Mariposa, there is still much to celebrate! Check out these 6 places to drop by for some retail therapy! Favor the Kind (formerly The Gypsy Wagon) stands out to Henderson Ave traffic for its signature marquee and frequent sidewalk sales. Their eclectic and whimsical selections outside of their women’s attire include everything from jewelry and baby clothes to stationery and original gift ideas. While it might be easy to characterize as laidback Bohemian, the fashion here is anything but slow. Plus, they have a knack for picking out the cutest products from curated cards to cacti home decor to vintage, one-of-a-kind furniture. Historically when we gals talk about shopping we haven’t been expecting the guys to join in… until now! 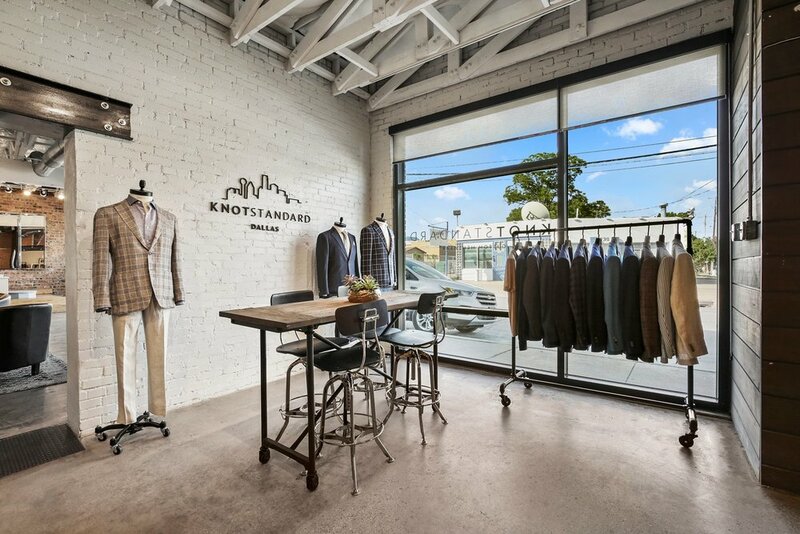 Knot Standard delivers personal stylists and customized options for the male wardrobe in need of guidance or quality. This genius concept lets dudes submit their measurements online or visit the showroom to work with a stylist on channeling their inner yet masculine fashionista. Since shopping can be seen as a traumatic experience for a lot of the male population, it might be important to note that inching into the pool and going for one garment at a time is an option. However for those risk takers out there Knot Standard offers the canon ball approach of wardrobe planning for the seasons. When was the last time you played dress up in your favorite grandmother’s closet? If you have to think too long then it might be time to check out the consignment shop across from The Porch restaurant. Just like its unique name, Vintage Martini promises to be an a potent trip down memory lane. Their frequent sales can make it easy for any budget to adopt high fashion items and give them a good home; the outfits put together on display offer plenty of ideas for how to infuse your wardrobe with high end classics. Plus, things are sorted by era in one of their two rooms so if you need 80’s or 20’s etc, they have you covered! Bonobos also has an excellent staff that are super friendly and knowledgeable. 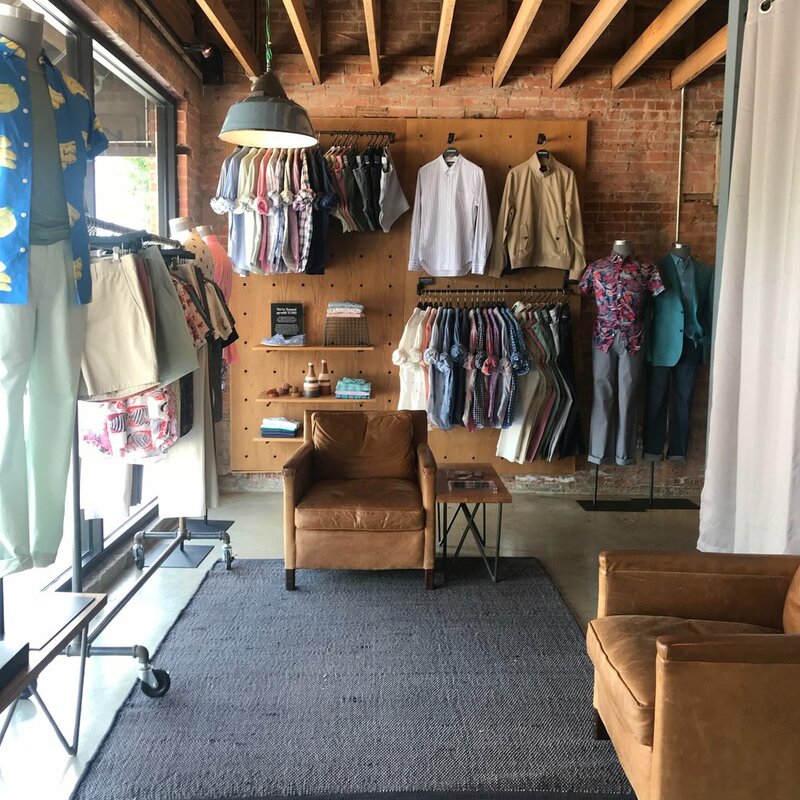 Because you can't buy directly from Bonobos stores, the Henderson location is technically called a "guide shop" where you can go and get fitted and then they will order and ship your choices out to you! This is also one of the two male-only stores on the list (include Knot Standard) so ladies, make note for when you need to take your man out for an updated wardrobe or men, take note when you're ready for some retail therapy. Tucked away further down the street Esther Penn is the place to go for limited quantity up to the minute pieces inspired by the owners’ California roots. Sourced from L.A. and brought to their retail shop these pieces are hot finds that go fast at affordable prices. The version of dress up shoppers play here is more like raiding the closet of your most stylish best friend. Maybe that’s because EP is owned by two gals who stock their store based on their own shopping and “have to have it” standard. With this ever changing inventory you’re likely to find the perfect top for a last minute night out and that your best friend will without a doubt borrow. This store is the most fun! Enter and you'll feel like you just took a trip to the Bahamas with all the bright colors, fun patterns and beach vibes. The Dallas team is also so great - you feel like you instantly know everyone there, and you'll frequently find the team enjoying their big parking lot, sipping beers and playing corn hole outside. You can join in on the fun too! So stopping by Chubbies is much more than just your average retail experience. And Chubbies sells both men and women's apparel!